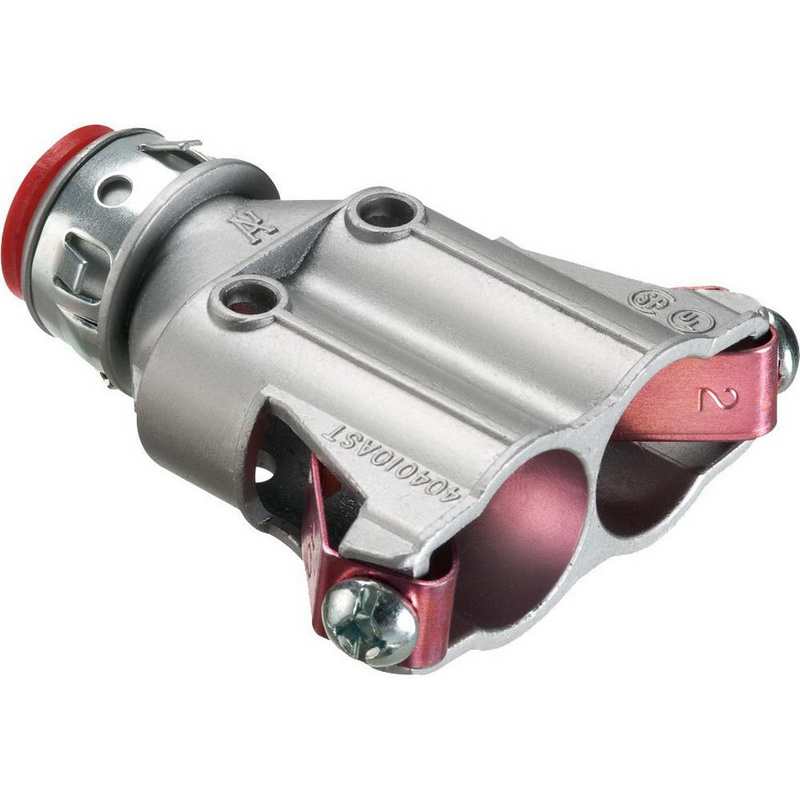 Arlington Snap2IT® Insulated throat duplex connector of trade size 1/2-Inch, is suitable for use with 3/4-Inch knockout, AC, MCI-A, HCF steel/aluminum cable, steel/aluminum flexible metal conduit, MCI cable, continuous corrugated aluminum cable and MC-PCS/ACG90/AC90 cable. Connector features die-cast zinc construction. It measures 3.054-Inch x 2.717-Inch. Connector has throat diameter of 1.058-inches. It accepts two conductors of size 0.59 - 0.92-Inch. Connector is UL/cULus listed and CSA certified.